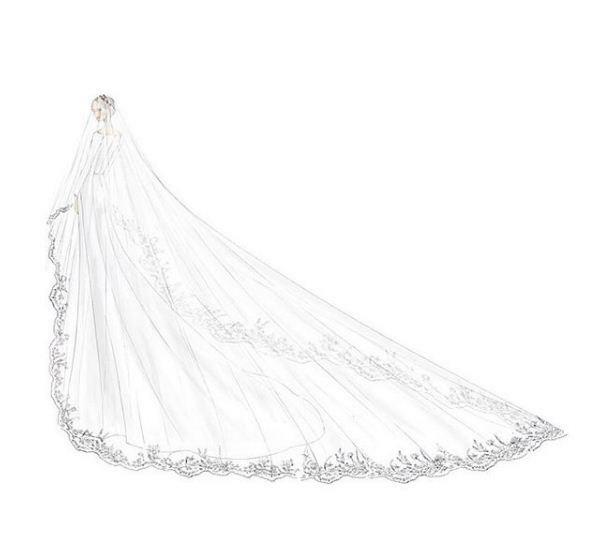 The Duchess of Sussex, Meghan Markle's royal wedding dress was designed Clare Waight Keller for Givenchy couture. 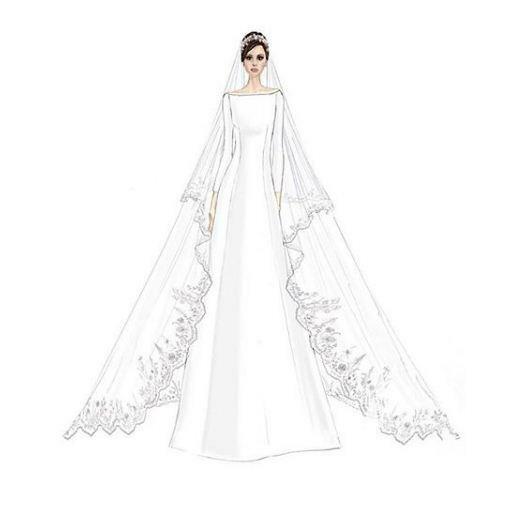 Kensington Palace has released two sketches of dress designed by Clare Waight Keller. Meghan and designer worked closely on the gown which Kensington Palace says imbues "a timeless minimal elegance referencing the codes of the iconic House of Givenchy". The wedding dress has been praise by a lot of fashion circles for its understated elegance that calls to mind Audrey Hepburn. The sketches show the dress from the front, back and side-on. Despite months of speculation, Markle and Waight Keller managed to keep the gown a secret until the bride arrived at St George's Chapel yesterday. 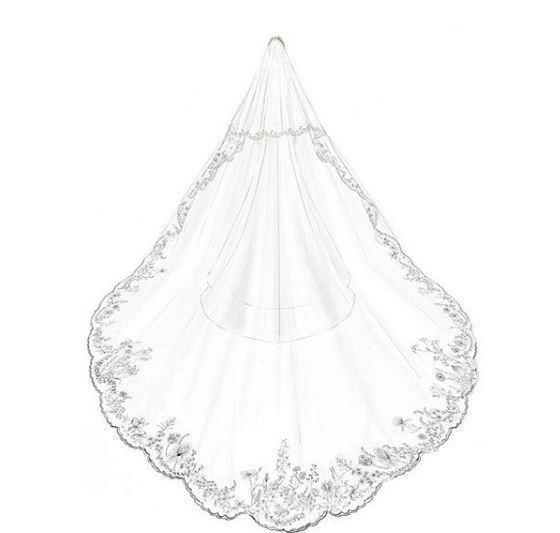 The silk cady gown featured a bateau neckline and a triple silk organza under skirt, and was worn with a cathedral-length, five-metre-long veil trimmed with lace depicting flora from each of the 53 Commonwealth countries. Birmingham-born Waight Keller worked at Pringle of Scotland and Chloe, before joining Givenchy as the brand's first female artistic director in March 2017. Kensington Palace stated that the bride chose to work with the designer, after meeting her in early 2018, "for her timeless and elegant aesthetic, impeccable tailoring, and relaxed demeanour".